Having multiple locations keeps your operations close to different nodes of business, and global collaboration gives you the power to leverage a worldwide pool of talent. In a distributed business, however, without the right file collaboration software, it’s hard to keep everyone on the same page. Wouldn’t it be great to ensure everyone has one authoritative file copy to collaborate on, no matter where they are in the world? Wouldn’t it be great to deliver a collaboration experience so good it felt almost as though people in London, Beijing, and New York were working in the same room? Centralize your large data sets and manage them any way you’d like: in public cloud, hybrid cloud, or traditional data center environments. The FAST™ fabric transparently extends your centralized file shares to every branch office. It’s a storage-agnostic solution that mounts to your existing data center file storage, and creates an Intelligent File Cache at each distributed location. Great performance. The core instance in your data center compresses and streams data to each edge instance, helping you overcome bandwidth and latency issues between branch offices and the data center. The Intelligent File Cache stores and automatically manages data, enabling immediate access to important files and projects, as though everyone were working from the same local file server. One authoritative data set. Instead of multiple versions of large files stored on different servers at branch offices, everyone accesses a single data set. Global file-locking ensures only one person at a time can make changes to the central data set. The Intelligent File Cache stores a local copy of the file and only streams changes to the data center. Grows with you. The Intelligent File Cache integrates with the NTFS file system, which makes it simple to manage and scale. When your distributed office workload grows, you can continue to use the same file collaboration software and count on the same high-performance experience. Find out how the FAST™ fabric helped Metromont improve collaboration with CAD, large PDF, and Revit files. 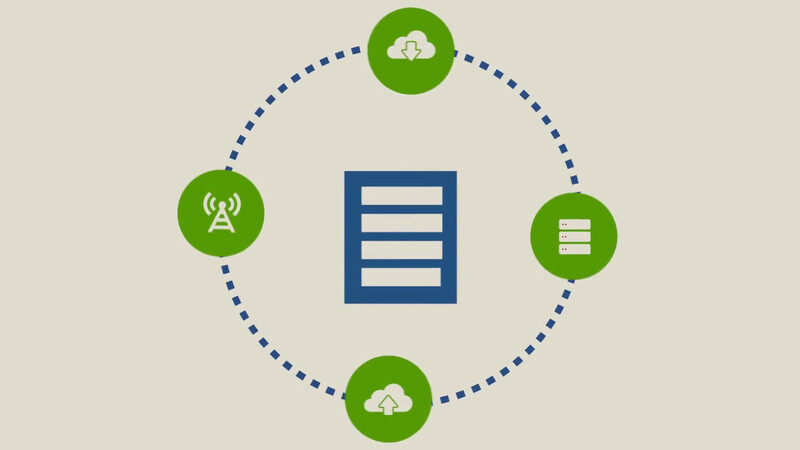 Distributed enterprises benefit from creating a "Single Set of Data" using the FAST™ fabric. Data is consistent and coherent for users, and readily accessible from any distributed location in your organization. Complex applications, including Microsoft Office, Adobe Creative Suite, Autodesk, Bentley, and Dassault Systemes benefit from FAST™ Intelligent File Caching, streaming, and compression mechanisms to achieve optimal performance and fit into (existing) business workflows. We looked at other similar solutions, but the pricing and the comparable performance was not competitive to Talon.